This is, hands down, my all-time favourite Christmas movie. I watch it at least twice a year. What isn’t to love about this movie? Slapstick humour. Holiday decorations gone haywire. Witty word play. Uncle Eddie. There are so many quotable lines of dialogue throughout the movie, but none so sublime as Uncle Eddie’s declaration as he dumps the waste from his RV into the sewer…. Buddy the Elf is the purest form of Christmas cheer you will ever find. Will Ferrell struck gold with this gem of a movie. Much like Christmas Vacation, there is sheer lunacy in the form of slapstick and adolescent-style humour. You would be hard-pressed to not come out of watching this movie without being infected at least a smidgen by Buddy’s enthusiasm about all things Christmas. “You’ll shoot your eye out.” That’s the quintessential line that everyone remembers from A Christmas Story. Based on a Jean Sheppard story, there are so many memorable moments in this movie – the pink bunny suit, the leg lamp, the Red Ryder BB gun…it all blends together to form a sweet, funny and touching Christmas tale. This movie has been played on 24-hour loops on some TV stations over the years, and watching it, you can appreciate why. It’s a true classic. You can’t talk about Christmas movies (or slapstick comedy for that matter) without talking about Home Alone, Chris Columbus’ 1990 classic, written by John Hughes. The madcap antics of poor 8-year-old Kevin as he tries to protect his home from Harry and Marv, the Wet Bandits, drive this hilarious movie. How either of these two men are still alive after what Kevin puts them through is a mystery! This has quickly become one of my new favourite, must-watch Christmas movies over the past couple of years. The cast is epic, the comedy is broad, the action is intense. If you haven’t seen this one yet, check it out. Just make sure to wait until the kids are in bed first. 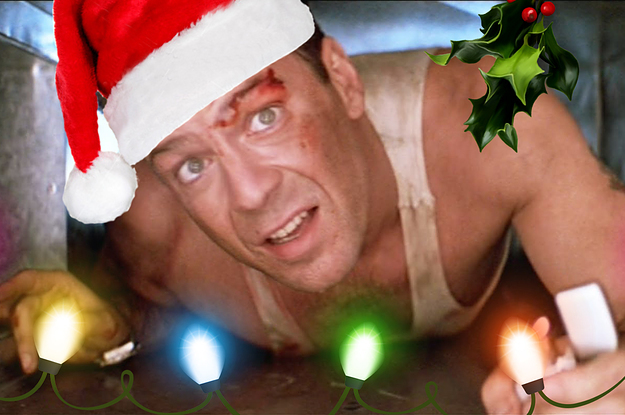 There are two types of people in the world… those who think Die Hard is a Christmas movie, and those who are wrong. These are just a few. I could have easily made this list 2 or 3 times as long. And what about you, dear readers? What are your favourite Christmas movies? Leave your comments down below.